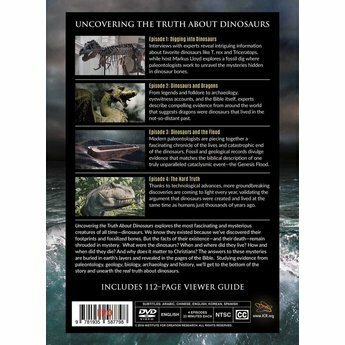 Uncovering the Truth about Dinosaurs explores the most fascinating and mysterious creatures of all time - dinosaurs. We know they existed, but the facts remain a mystery. This is a download and not a physical resource. 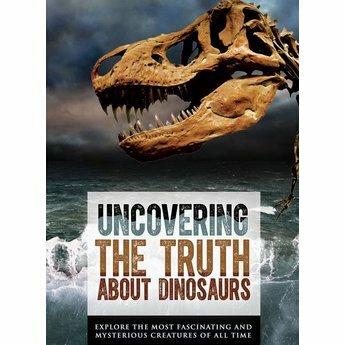 Uncovering the Truth About Dinosaurs explores the most fascinating and mysterious creatures of all time -- dinosaurs. Uncovering the Truth About Dinosaurs offers compelling evidence about these mysterious creatures that confirms the biblical account of Genesis. 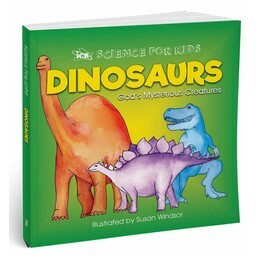 Witness the awesome work of the Creator and see how the Bible gets it right in all matters -- including dinosaurs. Modern paleontologists are piecing together a fascinating chronicle of the lives and catastrophic end of the dinosaurs. Fossil and geological records divulge evidence that matches the biblical description of one truly unparalleled cataclysmic event -- the Genesis Flood. Digital downloads do not include subtitles or closed captions. 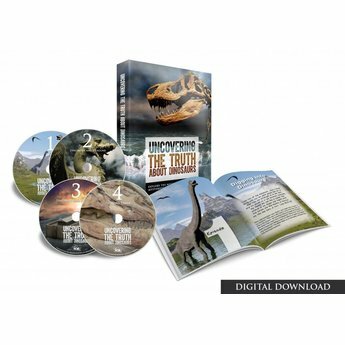 If you prefer, this resource, Uncovering the Truth About Dinosaurs, is available with subtitles in physical form and can be shipped directly to you. Protein and blood cells in dinosaur bones? No ancestors for the dinosaurs? A stegosaurus depicted on the column of a Cambodian Temple and a long neck dinosaur among the drawings left on a cave wall by an American Indian group? Yes. This DVD set produced by the Institute for Creation Research is masterfully done ( as are all its productions). The sciences of biology, geology, paleontology, and archaeology, as well as history and the Bible are used to show that the Bible is accurate about its depiction of Noah's Flood, a world-wide catastrophe. Scientists from a number of disciplines are interviewed including one scientist who digs dinosaurs for a living. Those who are as interested in dinosaurs as I am will find many interesting facts uncovered here that we normally do not hear about. I found particularly interesting the story told by dinosaur track ways found in North America that tell of these animals struggling to escape the rising Flood waters. These track ways yield quite a bit of useful information. In the DVD about dragons and dinosaurs, I found it interesting to see some familiar faces of dinosaurs among the depiction of dragons. I believe one was the velociraptor. The argument on this DVD makes it credible that people in history actually did see dinosaurs even though they called them dragons. In fact there is evidence that dinosaurs may have lived up until the Middle Ages. The name dinosaur was not coined until the 19th century. Some of the scenery used as a backdrop or for illustrative purposes is spectacular. The dinosaur animations are well done. 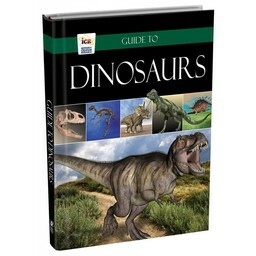 This 4-DVD set gives glory to God as the creator who created different sorts of dinosaurs for his pleasure. Some of the design features in these animals are very unique. I want to watch this DVD set many times over. One of the most significant statements, I think, made in this presentation was by astronomer Jason Lisle who said that it was Christian thought that made modern science possible. I have seen this claim corroborated by others. For example, Rodney Stark makes this claim in his book The Victory of Reason: How Christianity Led to Freedom, Capitalism, and Western Success. Mary Midgley in her book Science as Salvation makes the same claim. This fact of history has been lost to us, I believe, in our public schools, and in education in general, because of the propagation of the false idea that there is a war between religion and science. This latter view favors the atheistic world view called evolutionism. As a science teacher in a public school, I will be using this as a resource to bring interesting science to my students. I can say also that all science rightly understood will help lead our young people to God.